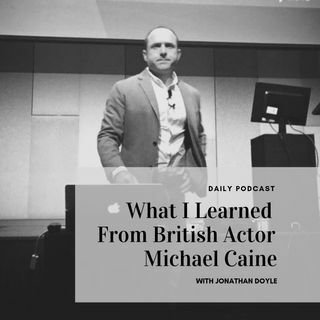 In today's episode I share some awesome insights from my reading of Michael Caine's autobiography. He is a great example of the 'myth of talent' - and shows us how adversity and setbacks can be the training ground for greatness. No matter what you face in life there will be some value for you in this episode.